Each step in an upstream process impacts the quality, purity and quantity of the manufactured protein. 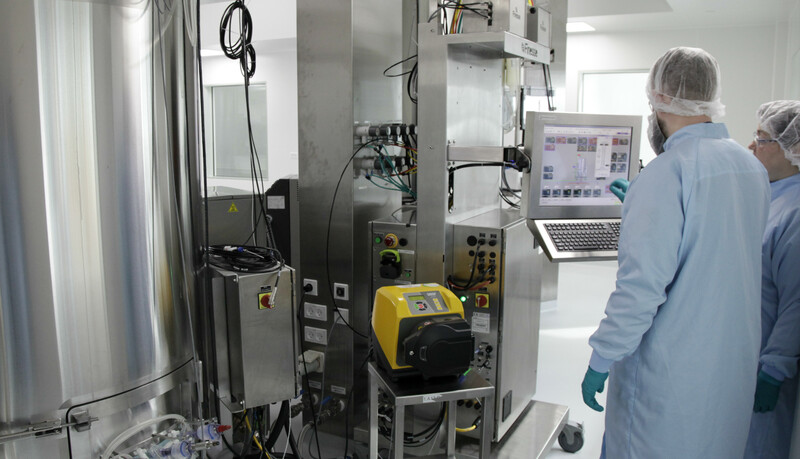 At AGC Biologics, we have developed over 80 mammalian, bacteria and yeast based processes in the last decade, giving us the insight necessary to identify and optimize upstream parameters that are critical for achieving a high-quality, cost-effective biomanufacturing process. Our process transfer platform is well-substantiated and designed to scale-up directly, from bench-scale to final manufacturing scale, accelerating your development timelines. Utilizing our proprietary CHEF1® expression platform, development timelines can be optimized further. Our approach is flexible, based upon our clients’ needs. We can develop bioprocesses “from scratch” for customers with no existing upstream process, or we can redesign and optimize an existing process. In addition, our development team is experienced with fast and effective technology transfer to establish proven cell culture and microbial fermentation processes. This ensures that you receive a seamless route to scale-up and cGMP manufacture.